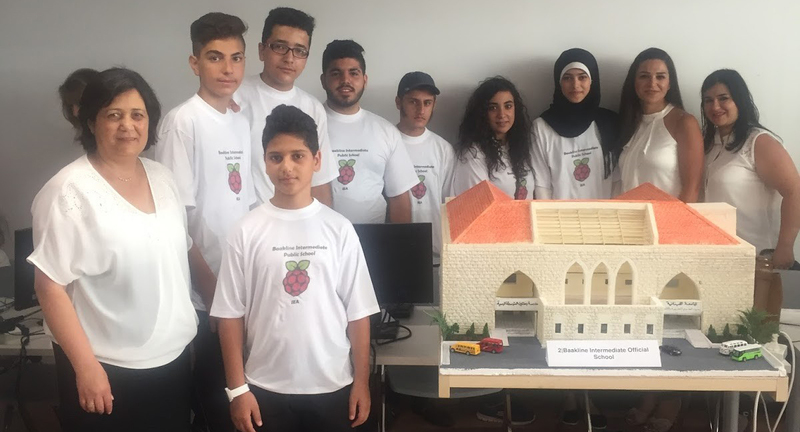 Rania and Hiba, the two teachers at Baakline public school, led a team of 16 students and created an automated school bell. The project seemed simple at first but they decided to go for it after exploring x number of ideas. Their school is big with 3 floors and Hiba is the teacher in charge of ringing the bell manually every hour on her floor. 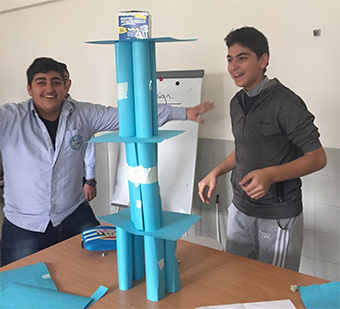 They shared the idea with the team of students after they had been through the project steps as they were explained in the workshop. The project revealed itself to be much more complex than they initially thought, to create a prototype bell, they designed and constructed their school which turned out to be a masterpiece of art. Then they started to put scenarios for the school bell, the number of floors, the two shift schools and they got tangled in learning in more depth Python. 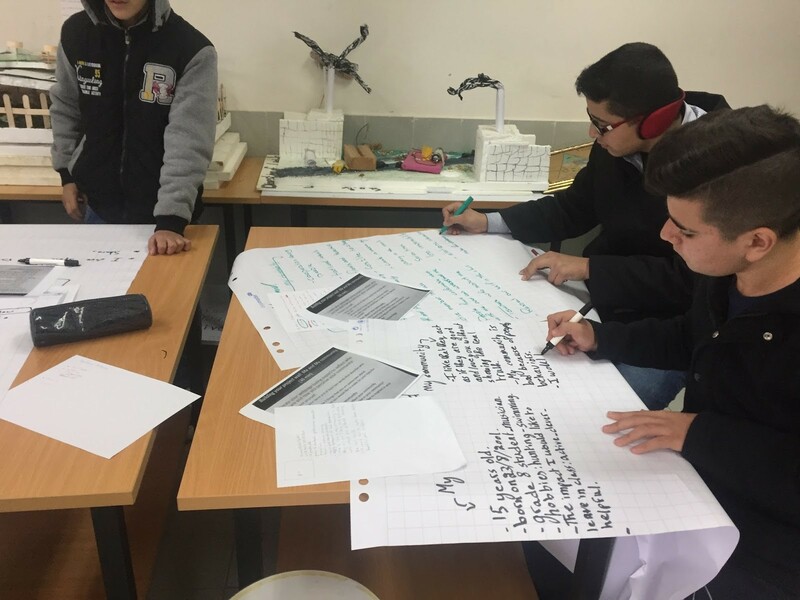 At many points during the working sessions, teachers expressed the challenges that they were facing which ranged from students’ joining later the group to difficulty in applying their knowledge of programming in the project. 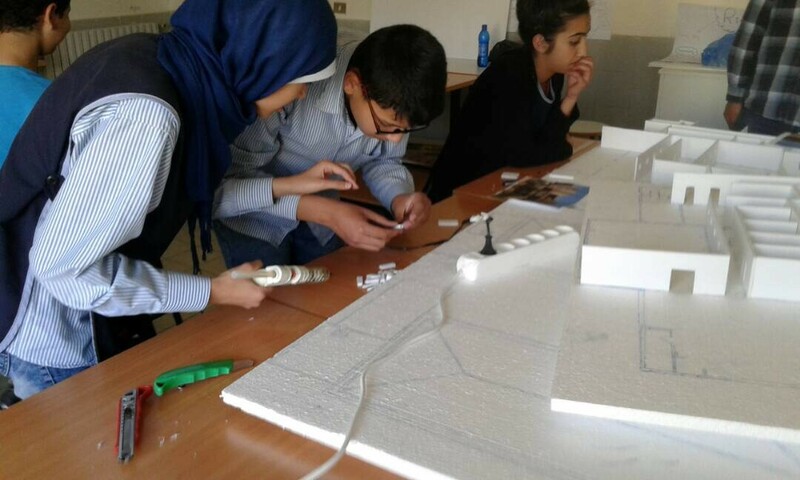 The team persevered and they completed their project; they were able to automate the school bell in the way they had planned it. It was very rewarding to them. 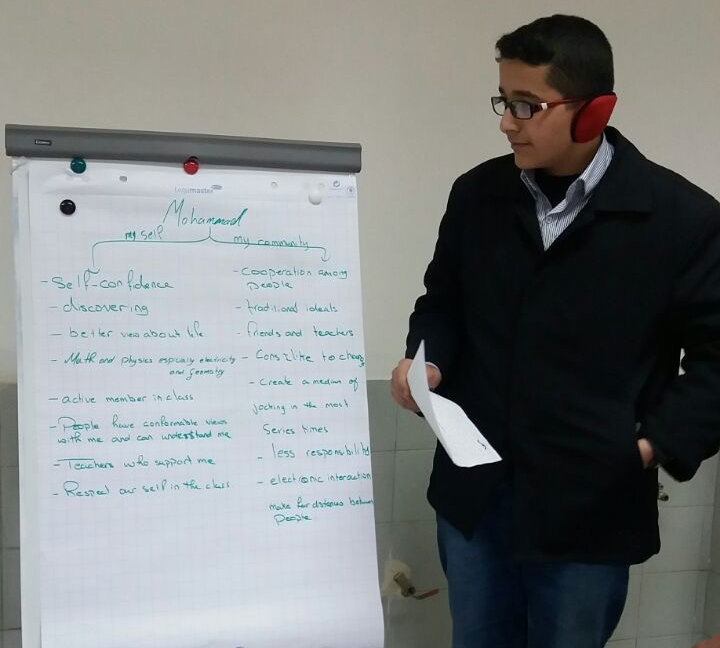 During the meeting, the teacher explained the value of fitting those skills to the whole class and the plan is to work towards providing an hour a week to build the skills of the whole class.